Offering the best value Port Stephens Holiday Packages available with great inclusions. If you are looking for a relaxing weekend, Food and Wine experience or Full Adventure we have a package to suit. Perfect for Couples, Families, Groups and Schools there is a great range of Tours and Attractions included. The accommodation at The Retreat offers self contained buildings with all the comforts of home. Our Cabins and Bungalows are perfect for Couples and families. The Ranch, The Lodge and The Duplexes are ideal for a few families to share, Groups and Schools. There is a building suitable for all group numbers and a combination of building to suit everyone’s requirements. Explore and Feast, Bed and Breakfast or Best of the Bay Packages. Including some of the area most iconic and must do activities. 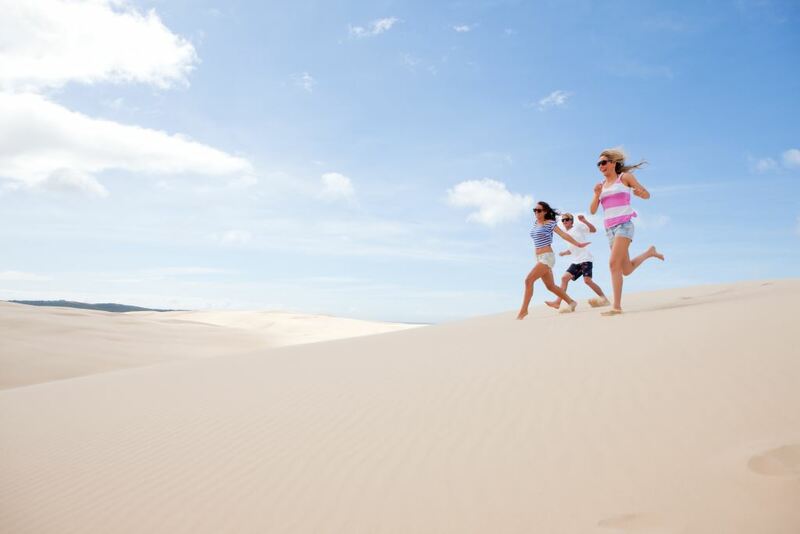 Port Stephens has a vast range of Adventure and Leisure options for Couples and Families. Our packages are simple and leave plenty of room for you to create the getaway you deserve. Quad Bike Adventure & Brewery, Golf, Paintball & Brewery, Kick’n’golf, Bed & Breakfast, Girl Getaway. Groups getaways create lifetime memories with your friends and family in such a fun way. Our Group packages are perfect for Hens and Bucks weekends, Family Reunions, Work Team Bonding or just a good excuse to getaway. All packages include meals, activities and accommodation with a simple per person price. If you would like to mix and match packages we can customise a package for you. Indigenous Experience, Best of Port Stephens, Surf & Sup, Marine & Environment, Team Building, Life & Wellness. Our School Camp packages are very popular and work famously. These packages make the planning of your school camp or Youth Camp easy. Our catering team provide top quality meals with the freshest ingredients which taste amazing. Students and staff will be talking about their camp for years to come and want to come back next year. 1,2 & 3 days packages are customised based on what is required for Conferences, Meetings and Workshops. Offer a Team Building experience mixed with a relaxed Conference venue. We put together the best package with a very personalised approach. We are all about working in a relaxed holiday feel environment where people can be themselves. No suits required here.